It's the 7th Day of Christmas! Today's image is the color version of my B&W photo project over on Google +. In this version you can see the moon coming up outside which I thought was pretty cool and didn't notice till I was processing the image. 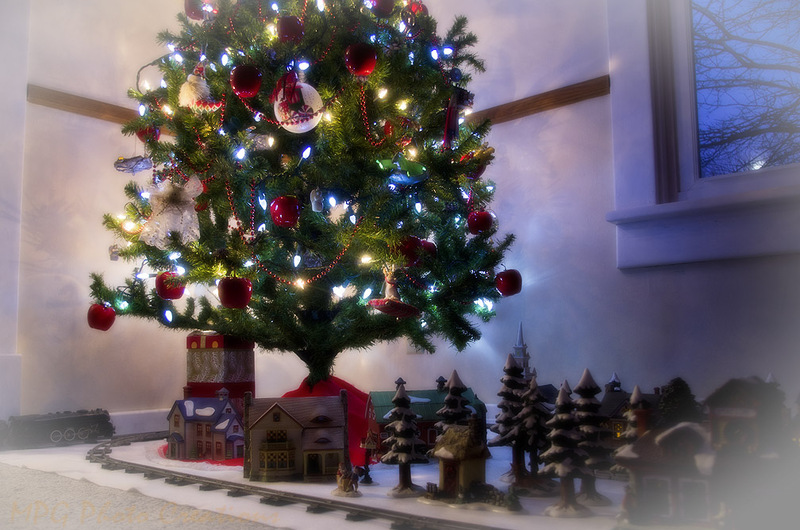 This is a view of my Christmas Village and the tree in our living room. Remember you can always enlarge to see more detail by clicking on the image.